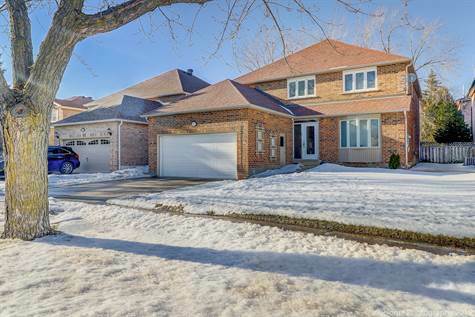 Bright & Spacious (3200 Sf) Executive Family Home On A Wide(50 Ft) Lot In A Quiet Street.Open To Above Foyer,Circular Staircase.Open Concept Floor Plan.Main Floor Library.2 Story Foyer,Enclosed Porch.Master Ensuite W Heated Floor&Air Bubble Jacuzzi.Renovated Kitchen&Baths(4).Organized Closets.Prof.Finished Basement In Law Suite W Kitchen/Bath/Workshop&2 Bedrooms(1-Sound Proofed).2 W-Outs To Stamp Concrete Patio&Private Treed Fenced Backyard W Garden Shed. Home Theatre/Security Cameras/Internet Wired.Newer/Replaced Attic Insulation,Duct Seal,Windows,Furnace,Cac,Extended Driveway,Pot Lights,Crown Mldngs,Ss Appls.All Elf's&Window Cverngs.Garden Shed,Easy To Add Sep.Entrance/5th Bdr/5th Bath. !